Christian Stewart founded Family Legacy Asia in July 2008 to help Asian families preserve their family wealth for generations, by providing them with independent and objective advice on effective family governance. While continuing as the managing director of Family Legacy Asia, in 2016 Christian also became an associate of Wise Counsel Research a nonprofit think-tank and boutique consultancy based in Massachusetts USA, focused on matters of wealth and philanthropy. 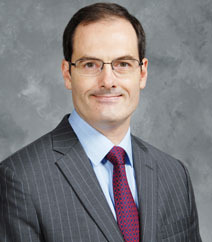 An Australian solicitor by background, and a former tax partner at PricewaterhouseCoopers in Hong Kong where he ran their Trust & Private Client practice group, he has over twenty five years of experience in advising high net worth individuals and families on complex trust structuring, estate planning, succession and governance matters. Before founding Family Legacy Asia, Christian was a Managing Director and the head of the Wealth Advisory Team in Asia for JPMorgan Private Bank for 6 years. 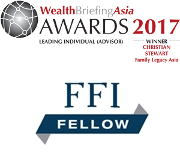 In June 2017, Christian received the award for Leading Individual (Advisor) at the WealthBriefingAsia 2017 Awards, Singapore. Christian is the author of the chapter on Family Offices in Hong Kong in the book “Family Offices: The STEP Handbook for Advisors” published by Globe Business Publishing Limited, March 2015. Christian is the author of the chapter “Trusts, trustees and the family business” in the 4th edition of the book “Trusts in Prime Jurisdictions” published by Globe Business Publishing Limited, 2016. He contributed “The Who What Where When and Why of Family Meetings” to J.P. Morgan Private Bank’s Asia Family Enterprise Study, May 2015. He contributed commentary to the report, Asian Business Families Governance: Crossing the Chasm for Inter-Generational Change, produced by the Business Families Institute @ Singapore Management University & Deloitte South East Asia, May 2015. Copyright © 2013 Family Legacy Asia Ltd. All rights reserved. Designed by Bizworks Asia Solution Limited.